On July 12, 2017, websites, Internet users, and online communities will come together to sound the alarm about the FCC’s attack on net neutrality. 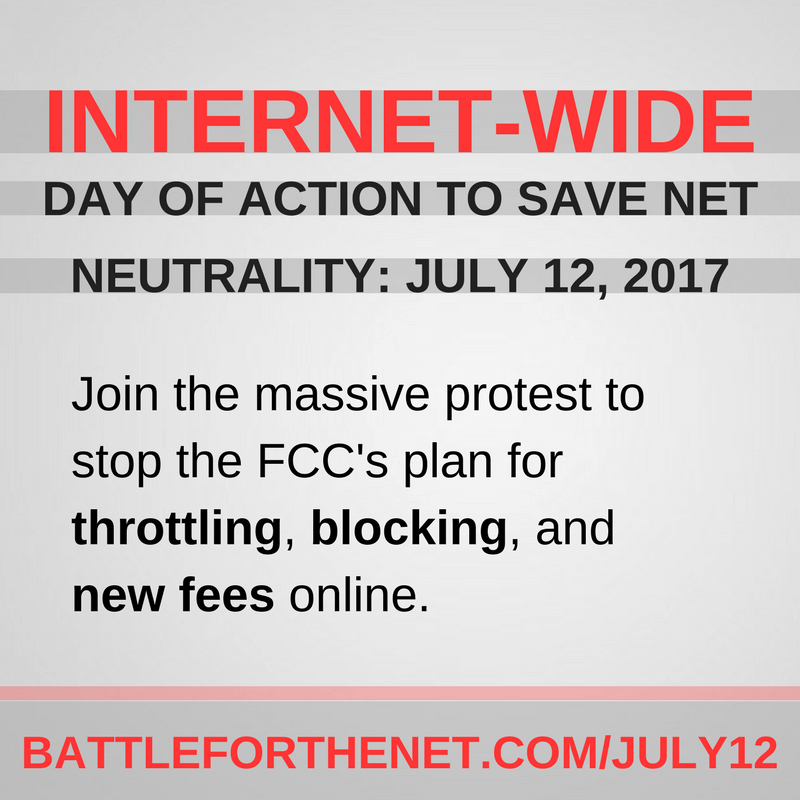 Learn how you can join the protest and spread the word at https://www.battleforthenet.com/july12/. I plan on participating in this demonstration using my blog to lay out why net neutrality is so pivotal in our world today.